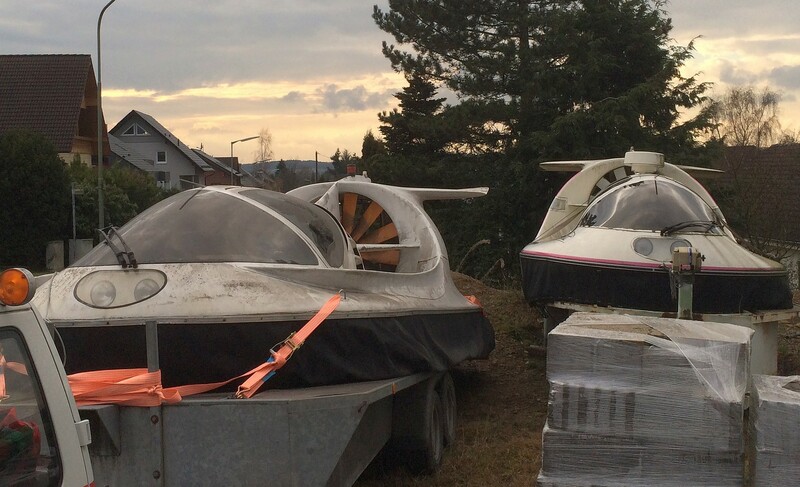 This page is dedicated to the original design and craft's of Air Rider Hovercraft. All Credit goes to them , the Popular Mechanics Magazine and Joe Pawlak for scanning all pages and sending to us. All images and text are out of these scans and therefore sometimes a bit unaligned. We cut unrelevant parts and concentrated on the technical aspect. Have fun and enjoy a great Hovercraft design. ..... In an Air Rider, you turn the yoke and the craft turn's. It's not a hard turn, naturally, but its a turn nevertheless. This is because Air Riders are heavier than stripped down sleds and more responsive, thanks to the bigger more powerful engine. Body English is also required in getting a sled - type craft over the hump, which is a term hovercrafter's use to describe a wall of water that occurs during a water borne start. 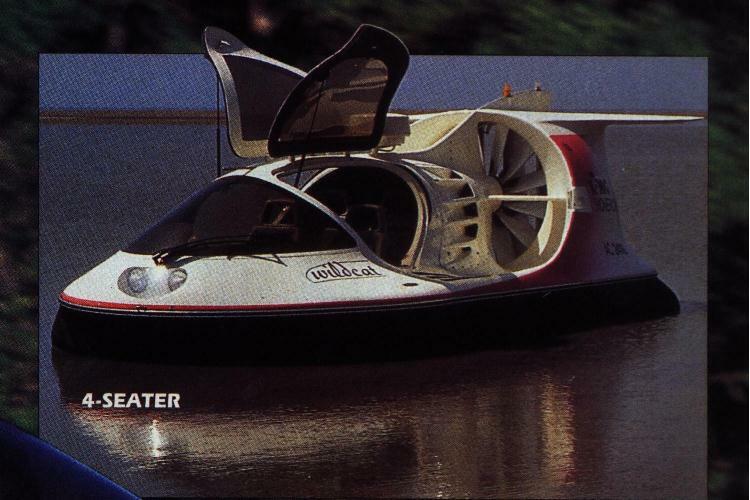 Unfortunately for Hovercraft, the flow of air that fills the skirt also displaces water beneath the hull. As the craft tries to go forward, it pushes against the displaced water. To go over hump the craft need's to have strong forward thrust. Finally, perhaps the most annoying problem with open sled's is the wet ride. 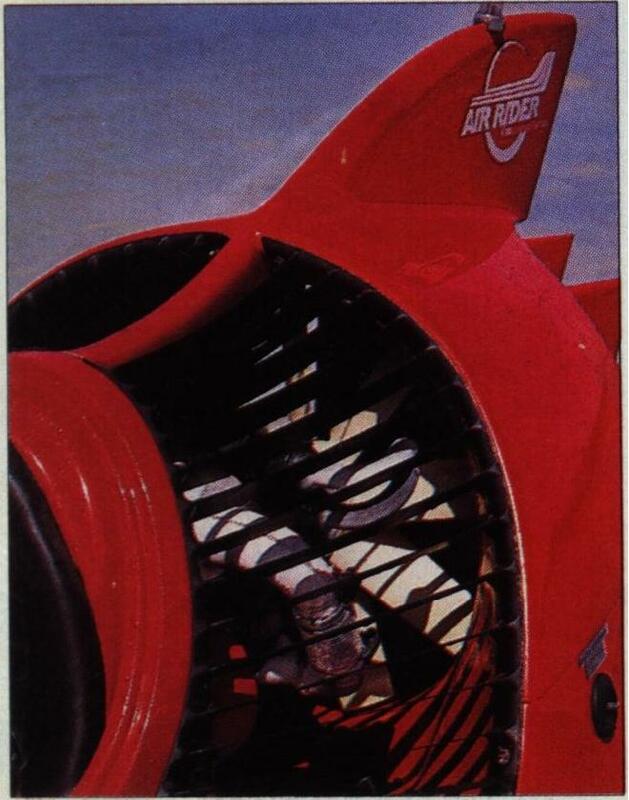 Today ( this was anno 1992), the Air Rider fleet consists of three models. 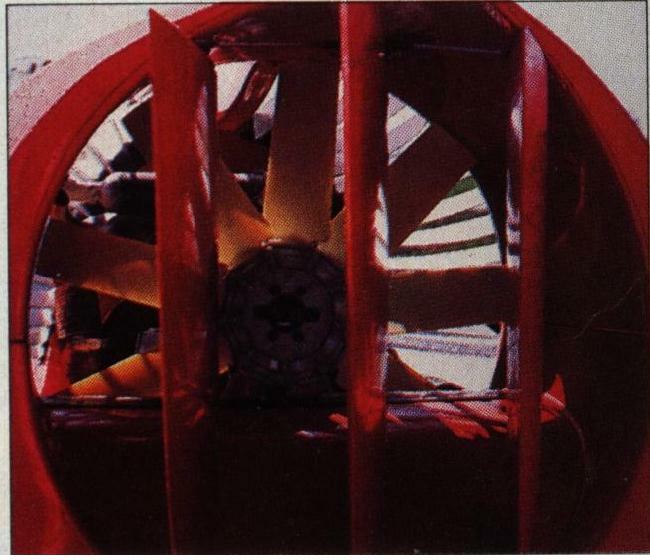 The "Booster", the "Hunter" and the top-of-the line "Wildcat". 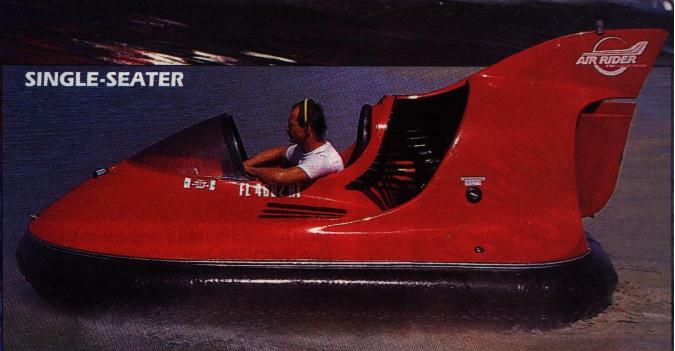 We were ( better said they so nobody gets me wrong on this statement) able to test ride the "Booster" and "Hunter", but the wildcat is just emerging from the prototype phase and is still at the Koenig plant in Germany. It's 12' 2" long and 6' 1" wide and weighs 418 lb. Height to the top of the unique stabilizer fin, which helps the wind-sensetive craft maintain tracking is 5' 9" ( same as the Hunter) Fuel capacity is 7 gal. for a range of 60 - 70 miles. Both the "Booster" and the "Hunter" use a 54 horse Gobler Hirth 2 cycle engine. The 9 bladed composite prop is made of Kevlar reinforced composite. Next up the Air Rider line is the sporty 2 person "Hunter", which is 14' 2" long, 6' 2" wide and weighs 507 lb. Fuel capacity is 9 gal. for a range of 70 - 80 miles. 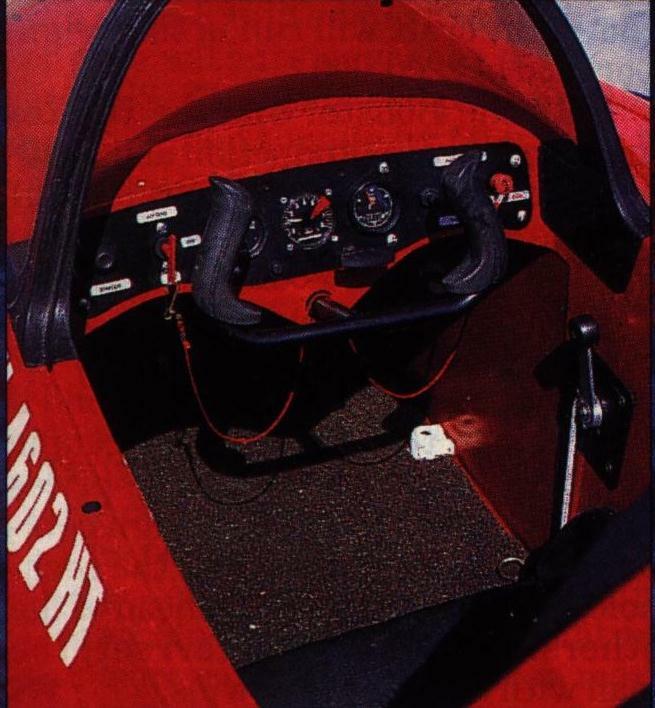 Instrumentation for both the "Booster" and the "Hunter" includes a fuel gauge, tach. and engine hour meter. The supper deluxe "Wildcat" is a big 4 seat luxury sedan, which is 21' long, 8' 2" wide and 6' 11" high. it weighs a whopping 2.420 lb most of which comes from it's full complement of luxury features and a 150 horse 4 stroke turbo diesel engine made by the German builder Steyer Motorentechnik. This craft spot's a 12 bladed prop with blades that are 42" long ( not diameter). Fuel capacity is 30 gal. for a range of about 150 miles. In addition to all the features found on a "Booster" and "Hunter", the plush "Wildcat" has thrust reverses for airbreakes, ailerons for adjusting the horizontal planing attitude, marine radio, GPS, a Porsche designed interior and much more. Each custom build craft will run in the neighborhood of US $ 200.000,-.